Founded in 1999, ADAM Audio's mission has always been to raise the standards in audio reproduction noticeably and audibly. Based on the technology of the ART (Accelerating Ribbon Technology) principle, the tweeter was able to move air 4 times faster than a standard diaphragm tweeter, offering a greater dynamic range. Simply put, More Area = More Dynamics. Designed in Berlin, Germany, the ART technology enabled ADAM Audio to deliver a sonic quality that was both highly defined and authentic in nature. Fast-Forward 15 years later and ADAM Audio monitors are an established favorite with audio engineers and music lovers alike. Paired with the improved X-ART (eXtended Accelerating Ribbon Technology) tweeter, the 'ADAM sound' is on full display when you're working with the award-winning AX-Series. With a fine line of subwoofers that complement the audiophile quality of their monitors, ADAM Audio truly offers a complete monitoring solution for every budget. 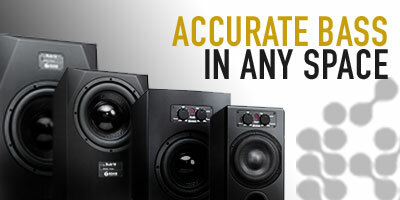 American Musical Supply is excited to be your stop for Adam Audio monitor speakers and subwoofers! We offer True 0% interest payment plans - applying is easy and there is no credit check for our 3-pay plan on purchases from $49-1,500. 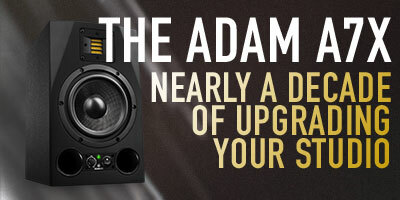 Use your own debit or credit card, enjoy fast and free shipping, and add Adam Audio products to your creative setup. We make buying Adam Audio products quick and easy - in-stock items that are ordered before 4PM EST will ship out the same day! 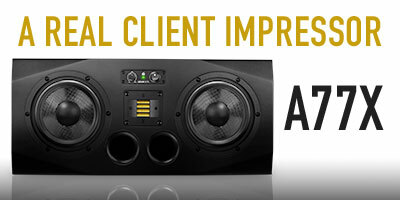 Do you have questions about Adam Audio gear and want to know which items would be best for you? Give us a call at 800-319-9043 - our experts are standing by.